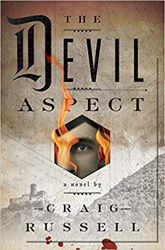 THE DEVIL ASPECT has been bought by Jason Kaufman, Dan Brown’s editor at Doubleday US—AND film rights have been sold to Sony/Columbia Pictures in Hollywood. In 1935, Viktor Kosárek, a psychiatrist newly trained by Carl Jung, arrives at the infamous Hrad Orlu Asylum for the Criminally Insane. The state-of-the-art facility is located in a medieval mountaintop castle outside of Prague, though the site is infamous for concealing dark secrets going back many generations. 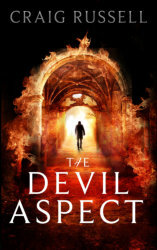 The asylum houses the country’s six most treacherous killers–known to the staff as The Woodcutter, The Clown, The Glass Collector, The Vegetarian, The Sciomancer, and The Demon–and Viktor hopes to use a new medical technique to prove that these patients share a common archetype of evil, a phenomenon known as The Devil Aspect. As he begins to learn the stunning secrets of these patients, five men and one woman, Viktor must face the disturbing possibility that these six may share another dark truth. Meanwhile, in Prague, fear grips the city as a phantom serial killer emerges in the dark alleys. Police investigator Lukas Smolak, desperate to locate the culprit (dubbed Leather Apron in the newspapers), realizes that the killer is imitating the most notorious serial killer from a century earlier–London’s Jack the Ripper. Smolak turns to the doctors at Hrad Orlu for their expertise with the psychotic criminal mind, though he worries that Leather Apron might have some connection to the six inmates in the asylum. Steeped in the folklore of Eastern Europe, and set in the shadow of Nazi darkness erupting just beyond the Czech border, this stylishly written, tightly coiled, richly imagined novel is propulsively entertaining, and impossible to put down. “A tour de force: a clever and visceral thriller with a one-two-three knockout of an ending that left me dazed.